Nothing says timeless quality quite like an in-frame kitchen. 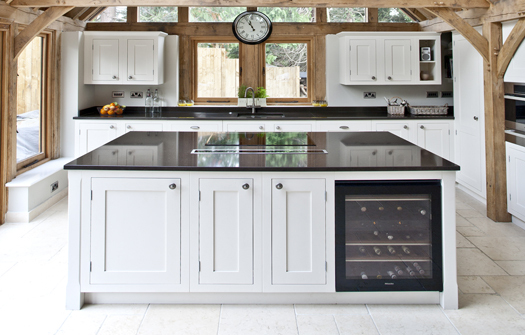 Whether you are looking for a classic design for a period home or a classic, clean, quality look for a modern apartment, one of our in-frame kitchens will fit the bill. With an in-frame kitchen, your choice of colours is virtually infinite. 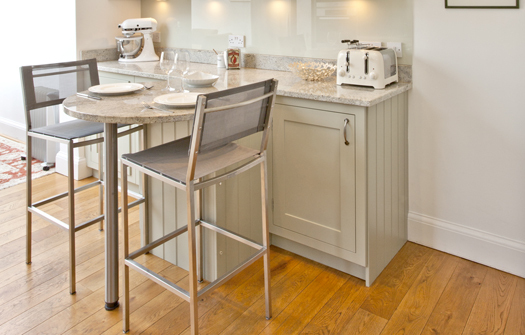 Your cupboards can be painted in the exact shade and finish that you choose. You can opt to have the fridge and freezer cleverly concealed behind tailored, framed doors, or go for a retro-style fridge in a bold colour to add a quirky design feature that is personal to you. Sturdy enough to withstand the rigours of everyday family life, our in-frame kitchens are hand built to last with solid frames and doors. Choose a gleaming and practical Corian worktop for a durable, sleek look or go for concrete or slate to bring a classic in-frame bang up to date. 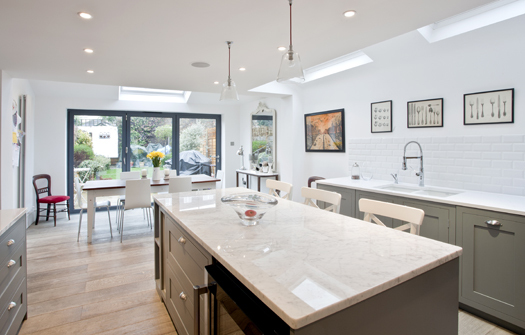 Choose a gleaming and practical Corian worktop for a durable, sleek look or go for concrete or slate to bring a classic in-frame bang up to date. Chrome handles can be added to give a sophisticated, modern twist to a simple Shaker in-frame design, or go for pewter knobs for a more traditional look and feel. Whether you want your kitchen to be somewhere you can cook up a storm, or a peaceful sanctuary where you can enjoy a quiet hour with a good book, we can deliver a design that you will love for years to come.